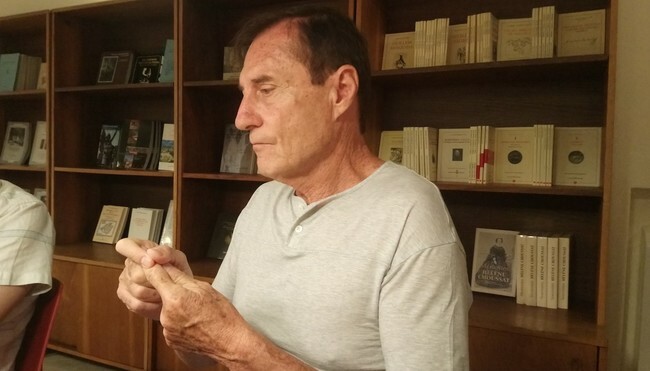 Roland Joffe, director of film classics committed as ‘The mission’ or ‘cries of silence’, went through the latest edition of the Atlàntida Fest Palm to present his latest film, ‘The Forgiven’. It was the ideal opportunity for chat with him and discuss a series of topics that have always passed through his movies, from the idea of guilt to forgiveness as a force able to transform it all. 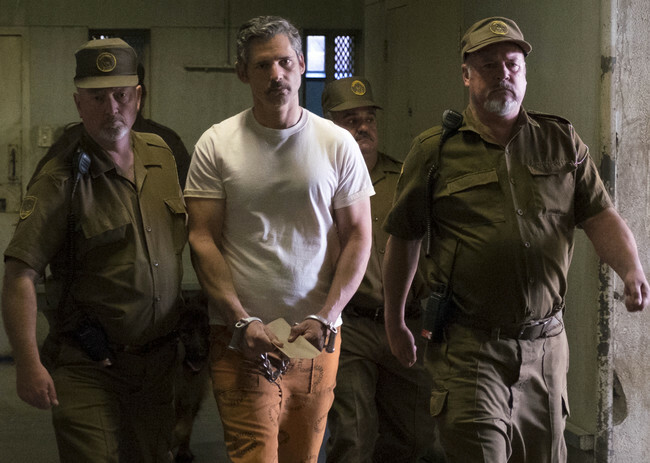 ‘The Forgiven’ tells a true story set in the years of south Africa after the end of Apartheid. 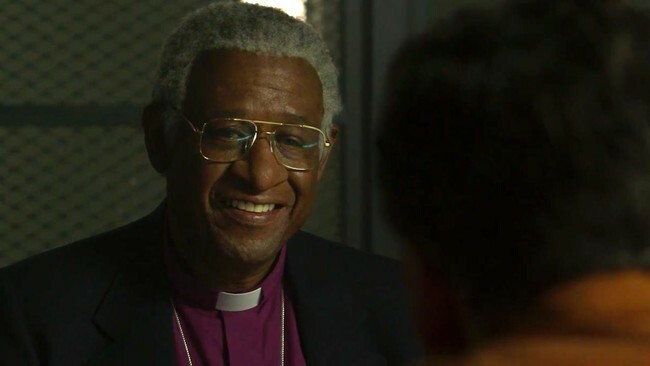 There, the Nobel Peace prize laureate Desmond Tutu (Forest Whitaker) meets a bloodthirsty killer, now an inmate, who seeks the forgiveness (Eric Bana). is Where lies the true evil? Are we able to forget any act, by atrocious that is? This is the opinion of Joffe. To what extent do you think that the idea of forgiveness is essential in ‘The Forgiven’? I love that feeling. It is a feeling very human: it has been detected in some species of monkeys, but it is, above all, an attitude characteristic of the human. the In south Africa, two years after the end of Apartheid, was a concept that, interestingly, was very rooted. In fact, it was the forgiveness that prevented the outbreak of a Civil War. And it is something that in Spain is known very closely: there’s a war relatively recent, so that they are well aware that the way forward is not so much to forgive, but rather to let go of the past. But it is easier said than done: I asked myself how far could he go asking forgiveness, until where. How did the idea for the film? There is a documentary from CNN, about a woman from Rwanda who was living with the murderer of his daughter, because he had come to forgive him, and I was very impressed. Three days later that I saw another about a man from Palestine of some forty years, whose daughter was murdered. the His response was to start an association that would promote the friendship between israelis and palestinians. I got to know him, and I asked her why, and she said, “Because I understand the hatred, and that’s why I need to transmit to others the possibility to overcome it“. why give the role to Desmond Tutu? When I personally knew Desmond Tutu to convince you to let me tell his story, I told him very clearly “You are not the hero of this movie“. And he asked me, “who is the hero?” I told him that he and Mandela had done a lot to end Apartheid, but the real heroes are the people of south Africa. It was then when it became convinced that the film needed to be done. The film is not about how to Tutu forgives the murderer, but how it manages that same forgiveness of a mother. It is she who convinces Tutu. And when he contemplates the attitude of this woman, it is as if to hear the voice of God. That was what led me to wonder about how the assassin has been raised to it from childhood. The film speaks of the beliefs, a strange ability of the human being. There is a system of beliefs that teaches that anyone who does not share it is not like you you: I want to know of where came that idea, and so I got to thinking tribal and what it inculcates. I spoke with south africans of different tribes, and what I found was a process that starts since they are little, because everyone was telling me the same thing: “when I was small and I was working on a farm, we played all together, blacks and whites“. But there comes a point in which the relatives of the whites look bad to the kids when they get together with black people. Is a process non-verbally, through physical signs of discontent. Where does the hate? The answer is surprising: it comes from love. At 8 or 9 years the child begins to feel that they should not disappoint their parents, and the displeasure when you are about to children of another race makes you feel guilty, and channeled into a hatred of the black boy. All of this is combined with a victimhood rooted: the people there feel that the English took their land, and they remember their childhood with sadness. it Is funny how organized religion, which has historically been the source of many conflicts and strife, occupies a central place in his films. What is that attachment? human beings are not born fully-formed, grow at base of impacts and influences from the outside, even the smallest. The life, moreover, is organized in systems: religious, personal, political, economic. It is important that we understand that we are part of them, and one of them is the religion. This has different aspects, one of which is to maintain power: it is moved by rules similar to those of a business either. is What interests me, religions are its unhealthy aspects, as belief in the existence of a world external to the body, something that often comes into conflict with the need to maintain power. I’m interested in the religion in spite of the contradictions that entails. Takes a long time to become an outsider of commercial cinema in north america. What is the difference between the Hollywood of now that he met in the eighties? there Have been huge changes since I started: Hollywood is a reflection on your production system of the serious political problems in which it is now plunged the country. America is in very big trouble because of its majority of voters (white middle-class, that have voted for fear of losing what they have. But the blame is not globalization, as it says Trump, that is only a half-truth. If you see the reasons why the economy collapses, it is more related to how has been USED since 1925.
that Is to say: changes related to the activity of the republicans, who have favoured with their laws that the managers of companies are also their own shareholders, which has been added the work of absorption of other companies. A system cannibal who devours himself. When I started in Hollywood had managers, who were the heads of the study and that they had knowledge about the business. is Now a few studies to absorb others, and direct executives. If a film is successful they make sequels mechanical, and if you do not give money, you change the executive. The result is a Hollywood depersonalized and driven by companies with no interest in the film. The news “In The Forgiven I wonder if it is possible to empathize with a murderer.” Roland Joffe, director was originally published in Espinof by John Tones .